Sheriff Jim Agnew described the dogs as "very large brindle-colored pit bull dogs." 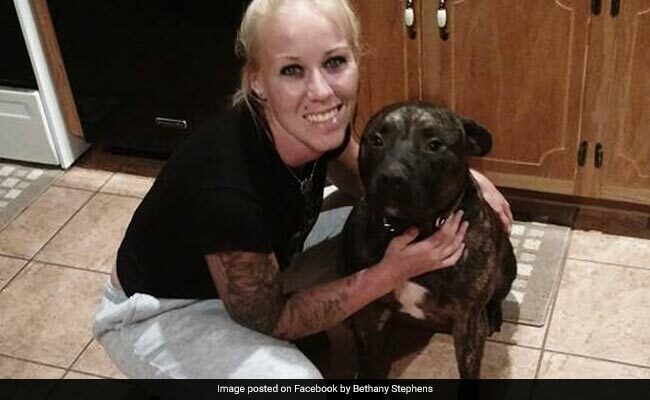 Bethany Lynn Stephens had been gone for about a day since she left to walk her dogs. So her father went out to look for her at the area she frequented. There, authorities say, he found her two dogs, guarding what he first thought was an animal carcass. "Much to his horror, discovered that it was not," Goochland County Sheriff Jim Agnew told reporters at a news conference Friday. Investigators in Goochland, Virginia, a rural community about 30 miles outside of Richmond, say the petite, 5-foot-1 young woman, who weighed a little more than 100 pounds, was mauled to death by her dogs, which had a combined weight of about twice hers, while out on a walk earlier this week. Her father found her Thursday evening in a wooded area that used to be a farm, about a half a mile from the main road, Agnew told The Washington Post. During the conference, Agnew described the dogs as "very large brindle-colored pit bull dogs." "The dogs clearly, at least in our estimation in a dark night, had something to do with this. It was an absolutely grisly mauling," Agnew told reporters. "In my 40 years of law enforcement, I've never seen anything quite like it. 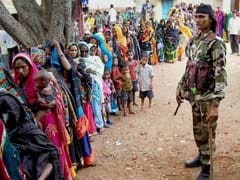 Hope I'd never see anything like it again." Officials from the county's animal control department and sheriff's office spent at least an hour trying to tranquilize the animals, Agnew said. Investigators also found bloody articles of clothing scattered in the area. "We spent a lot of time there at the scene and made some observations that, out of respect for the family, we're not releasing," Agnew said. Agnew said investigators still do not know why the animals turned on Stephens. According to the medical examiner's office, the 22-year-old had defensive wounds on her hands and arms, which indicated that she was attacked while still alive. Investigators say she was first attacked on her throat and face. "It appears she was taken to the ground, lost consciousness and the dogs mauled her to death," Agnew told reporters. "There were no strangulation marks. The victim had puncture wounds in the skull, and this was not a homicide." 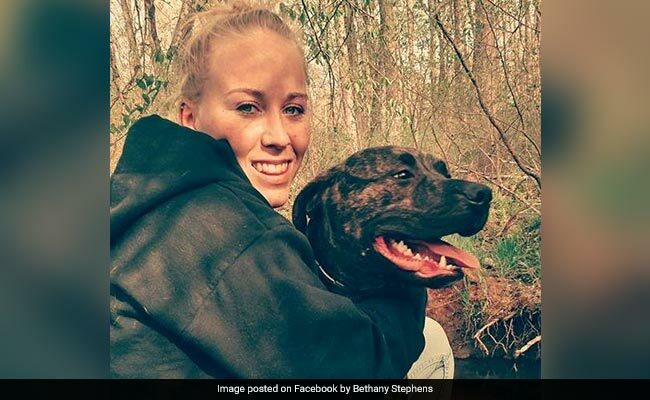 Stephens' friend, Barbara Norris, was not convinced by the authorities' account of her death, saying the dogs, which Stephens had been raising since they were puppies, would never turn on her, ABC affiliate WRIC reported. "They'd kill you with kisses," Norris told NBC affiliate WWBT, adding that the dogs' kennels looked as though they had been forced open. She suggested that something may have happened to Stephens after walking the dogs, and the dogs then forced themselves out to help her. Norris has not responded to a Facebook message asking for comment. Asked about Norris' comments Saturday, Agnew said the evidence found at the scene, including the defensive wounds, clearly showed that the dogs were responsible for Stephens' death. He said Stephens' relatives have requested for the dogs to be euthanized.